This research grant is intended to provide U.S. research opportunities for doctoral candidates who are in the final stages of writing their dissertation at an Indonesian University, and are also serving as faculty members at any private or state higher education institutions. The grant duration is for a period of four months. The applicant should have a minimum ITP TOEFL score of 525 or IELTS 5.5 or IBT TOEFL score of 70/71 to participate in this program. Please note that TOEFL prediction or TOEFL-like score cannot be accepted. Completed application form. This includes a clearly written and concise one page study objective, and also three to five pages research proposal. Copy of your most recent, less than two years old, institutional ITP/IBT TOEFL or IELTS score report. 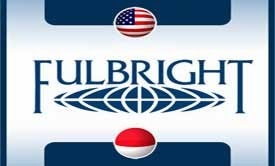 Demikianlah informasi mengenai Fulbright Dikti Doctoral Dissertation Research Program, American Indonesian Exchange Foundation, USA semoga berguna bagi anda.